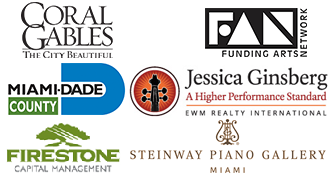 Friends of Chamber Music of Miami, Inc. (FOCM) is dedicated to the presentation of chamber music as performed by the world’s greatest chamber ensembles. Its mission is two-fold: to preserve the art of chamber music performance by showcasing the most exemplary artists working in the medium; and to build appreciative audiences for the art form among people of all ages. FOCM also offers outstanding educational opportunities for South Florida’s advanced music students. Since 1955, FOCM has presented the world’s greatest chamber ensembles. Such internationally acclaimed performers as the Budapest, Juilliard, Guarneri, Emerson and Cleveland Quartets and the Beaux Arts and Kalichstein Laredo Robinson Trios have all been frequent visitors of the series. Over the years, most of the series’ concerts have been performed at the acoustically superb Gusman Concert Hall at the University of Miami. In recent years, FOCM concerts have also been conducted at the Colony Theatre, Wertheim Auditorium at Florida International University, Temple Beth Am, Coral Gables Congregational Church and other South Florida venues. FRIENDS OF CHAMBER MUSIC, INC. Copyright © 2019 · Friends of Chamber Music of Miami, Inc.